Welcome to URC Psalmody! We’re glad you’ve stopped by. Whether you’re a pastor, a church musician, a URC member, or just a curious visitor, we hope you’ll find the resources on this website useful and enjoyable. What’s URC Psalmody about? We created this site to encourage Christians everywhere to sing the psalms more. These God-given songs of praise reveal Jesus Christ and bring comfort, joy, and spiritual growth to individual believers and the church as a whole. Got more questions? We’ve attempted to provide a few more answers below. But feel free to leave a comment or contact us if you don’t see what you’re looking for. We hope you’ll enjoy browsing URC Psalmody! Just as “hymnody” means the singing of hymns, “psalmody” means the singing of psalms, which are a collection of 150 songs found in the Old Testament of the Bible. As opposed to hymns and other songs, which were written only by humans, the psalms are a part of Scripture and are thus “breathed out by God” (2 Tim. 3:16). That’s why we believe the psalms are much more important for Christian worship than hymns. The Psalter (another name for the Book of Psalms) was given to the church by God himself. So why not sing it? Psalm-singing has been a key element of Christian worship for centuries, particularly in the Reformed (Protestant) tradition of Christianity. Sadly, the psalms are not sung nearly as often as they once were, nor (we think) as often as they ought to be. We hope this blog, in a small way, can remind the church of the spiritual riches contained in the Book of Psalms! The authors of this blog are members of the URC. This stands for the United Reformed Churches in North America (technically, the URCNA), a conservative group of churches in the Reformed tradition. The URCNA is a young federation of churches that currently comprises about 110 congregations, both new and old, in the United States and Canada. As a group of churches in the Dutch Reformed tradition, the URCNA has a long heritage of psalm-singing. The stately music and simple poetry of the Genevan Psalter, commissioned by Reformed minister John Calvin in the 1500’s, came to America with the first Dutch Reformed immigrants in the seventeenth and eighteenth centuries. As their congregations began to transition to the English language, the Dutch Reformed made sure to translate their Psalters as well, cooperating with other denominations to produce books like the United Presbyterian Psalter of 1912. 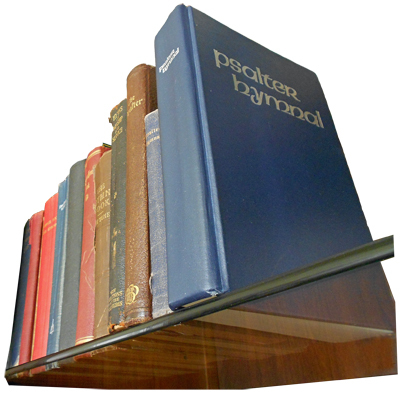 Many URC’s currently use a combined Psalter Hymnal published by the Christian Reformed Church (CRC). And the tradition continues today, as the URC draws close to producing its very own Psalter Hymnal! While the authors of this blog are communicant members in the URC, the content on this site is not created or maintained by the United Reformed Churches in North America as a whole. All opinions we post here are merely our own–though we hope many other members of our churches would share our views as well! I (Michael Kearney) started URC Psalmody at the beginning of 2012 with the hope of opening up a discussion point for Reformed church music, specifically within the United Reformed Churches in North America. Other contributors have joined me from time to time as well. While this is partially my personal endeavor to learn more about the music of God’s people, I hope this blog will also be a regular point of contact among Reformed church musicians. URC Psalmody’s tagline is “Discussing the union of text and music in the singing of God’s Word.” Our goal is to build a discussion base on Reformed church music, and also to build connections with like-minded church musicians, with the end intent that God may be more purely glorified as we worship him in song. I’ve been a liturgical musician with the Catholic Church for about 35 years. Everything I’ve read on your sight suggests a strong vein of Catholicism, which has used Psalmody in worship, in lineage with our Jewish ancestors of faith, since Christianity’s inception. We all have Jewish roots… like our Savior. Thanks for starting the blog and please consider taking a look at the Catholic Catechism to see where you belong. You can find free access at the http://www.usccb.org, the American Bishops website. God bless your fine work! Hope you join us soon! I’m delighted to find this blog! I’m a minister music at an independent baptist church in CT, and over the past several years I’ve become convinced of the necessity and benefit of singing the Psalms. I’m not a person who naturally makes waves and chooses ” hills to die on, ” so I’ve been greatly blessed to work with an elder board that has been willing to experiment, even though the church has no history of Psalm singing. One of the elders grew up in an church where he found the practice to be intolerably dull, but even he has been open to trying as well. This Sunday we began a series on the Psalms of Ascent. We’ve written a number of the tunes ourselves, and the church seems to be beginning to catch the vision. Welcome, John! Thanks for your comments. People like you are the reason this blog is here.